F.R.E.E., Inc. is a business consulting firm that has worked with jobs credit programs since 1979. They have extensive knowledge of the programs and know the in’s and out’s of the programs and know just what it takes to get someone qualified under one of these programs. The Work Opportunity Tax Credit or WOTC is a federal program that encourages businesses to hire people who fall into certain targeted groups or have other special employment needs. What is the benefit of WOTC? The incentive the government offers to businesses to hire these people is a tax credit against their federal income taxes of up to $2,400 for each certified employee under most WOTC categories and up to $9,600 for each certified employee under one of the categories. 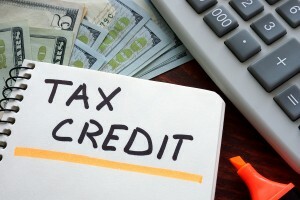 What are the categories that can qualify my company for a tax credit? How much can I expect to benefit from the program? Based on the experience of F.R.E.E., Inc., for every 100 hires, we would expect to generate about $ 23,000 in tax credits on an annual basis. There is no up-front cost to you for this service. Their fee is a percentage of the tax credit they generate for you. They work strictly on a contingency fee basis. If no tax credit is generated, there is no fee. They do all the legwork, paperwork, and follow-up necessary to generate the tax credits for you. The goal is to help their clients generate tax credits with as little effort as necessary of their part. The normal fee is 25% of the tax credits generated, but for NMRA members, they charge 22.5% of the tax credit for the first year of the agreement. What is the process of the program? Send a payroll file to F.R.E.E. on a monthly basis so they can generate reports to you and calculate the tax credit accrued. Their approach is unique to the industry in that they interview 100% of the people that you hire. Many more people get qualified when you have a professional interview 100% of the new hires instead of just using a questionnaire or having employees call a phone bank. They generate more credits than others who may take another approach. They are nationwide specialists in the WOTC program, obtaining jobs tax credits for clients throughout the United States, Puerto Rico and the U.S. Virgin Islands since 1979. They prepare all necessary reports and data for claiming and tracking the credits. They save you time and money, including the professional and clerical expenses incurred when you do the job yourself. Call F.R.E.E., Inc. at 800-745-3734 or 214-739-3733 and they will expedite the process to get you started earning tax credits.